- Sauter led 148 laps en route to his fourth career Martinsville Speedway victory, the most of any driver in NCWTS history at the historic Virginia short track. - Sauter’s sixth win of the season, a career high, secured the No. 21 team’s opportunity to compete for a second NCWTS Championship. - Today’s win is Sauter’s 23rd NCWTS win, placing him in sole possession of the 5th position on the NCWTS All Time Wins list. - With three races remaining in the 2018 season, Sauter holds a 29-point lead over Noah Gragson. “This has been a lot of fun this year, winning six races in a season… I feel like we should have eight or nine but I’m not going to complain, six is really special. To do what we did today was pretty awesome. I knew Joe (Shear, Jr.) and the guys put a lot of work in over these last few weeks coming up with different things for us to try, but then we get here and practice was rained out so we ended up going with one of our old setups and it worked out pretty well for us. I’m so proud of everyone at GMS, GMS Fabrication, the chassis shop, the pit crew; it’s a total team effort. - Making his sixth NCWTS start at Martinsville Speedway, Haley raced to a track-best sixth-place finish Saturday afternoon. - Haley's sixth-place effort continued his streak of consecutive top-10 finishes, now at 11 races, a streak starting back with his first win of the season at Gateway Motorsports Park. Haley now has eight top-five finishes, and 16 top-10 finishes in the 2018 NCWTS season. - Kicking off the Round of Six with a solid run in the first race, Haley now finds himself only two points below the NASCAR Playoffs cutoff mark with two races remaining before the final four drivers are locked into Championship weekend. "Thankfully we closed up the gap some today. We gave it all we had at probably my least favorite track, especially least favorite in the Round of Six. We're really good at Texas and we're bringing my Gateway win truck to Phoenix, so if all goes right we should be pretty good there. I'm just very thankful to come out of today's race the way we did. We just tried to survive today and we were going to be happy with a top-10 finish, and just came up short of a top-five. I'm proud of a sixth-place run. Now it's crunch time. I'm happy for Johnny (Sauter) and the 21 team being locked into the championship four at Homestead, now to get ourselves locked in and see him there." 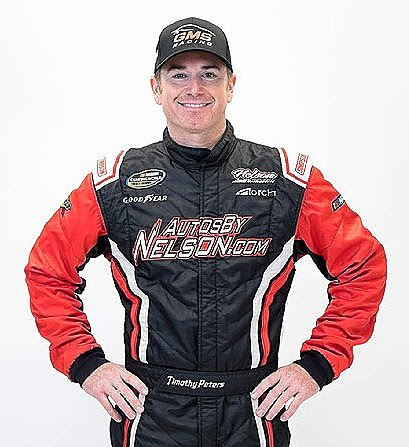 - Martinsville Speedway marked Timothy Peter’s fourth Truck Series race with GMS Racing in 2018. - After a 10th-place finish this weekend, Peters collected his 18th top-10 finish at his hometown track in the NCWTS. 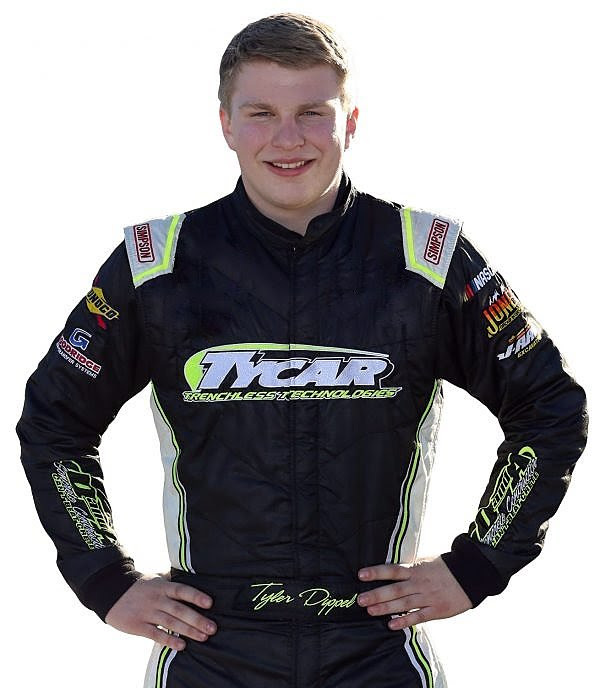 - Dippel made his second career NCWTS start and first with GMS, earning a 17th-place finish at Martinsville Speedway. - Today's NCWTS race at Martinsville was Creed's debut with GMS Racing's No. 2 team, as well as his debut at Martinsville Speedway in any form of racing. - Creed will return to the seat of the No.2 Chevrolet Silverado next weekend at Texas Motor Speedway, as well as at ISM Raceway and Homestead-Miami Speedway to round out the 2018 NCWTS season. "I think we just got too loose there at the end of the race. We started off really good and had worked our way up to the top-10. But after getting some damage from another truck, and being too loose the last run, it was hard to make up any ground. I hate that we couldn't get a better result today but it was tough never being to Martinsville before and having to qualify and start the race with no practice. We did what we could with what we had, I'm just excited to get to Texas already. I've been waiting for eight weeks to get there, and I really kind of wish we could load up and head there tomorrow."